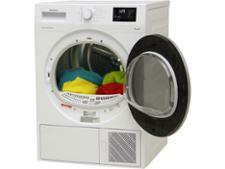 Samsung DV90M8204AW tumble dryer review - Which? 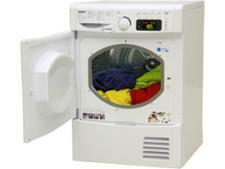 The Samsung DV90M8204AW heat-pump tumble dryer has a lot going for it. 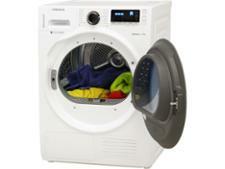 With a drum capacity of around 9kg, it can dry more laundry in one go than most tumble dryers. 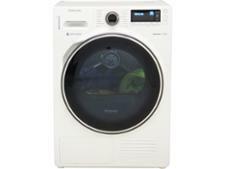 It's A+++ energy label means that it's about as good as it gets when it comes to keeping running costs low. 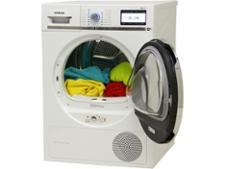 And you can even manage and monitor your drying from your smartphone. 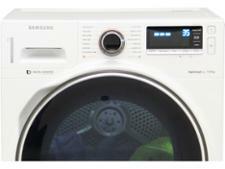 But putting smart functionality to one side, how good is this Samsung at actually drying clothes. To find out, we tested it. 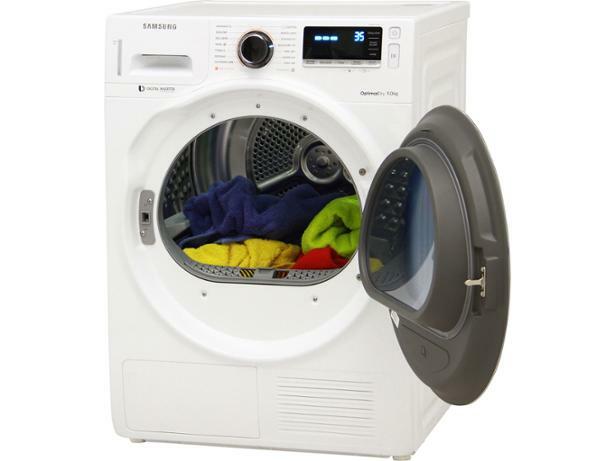 Read on for our results and full review of this Samsung heat-pump tumble dryer.